It looks like the price is still forming a descending impulse in wave A with the third wave being formed inside the wave. The descending movement may start again during the next several days. The first target for the bears is the level of 0.8650. 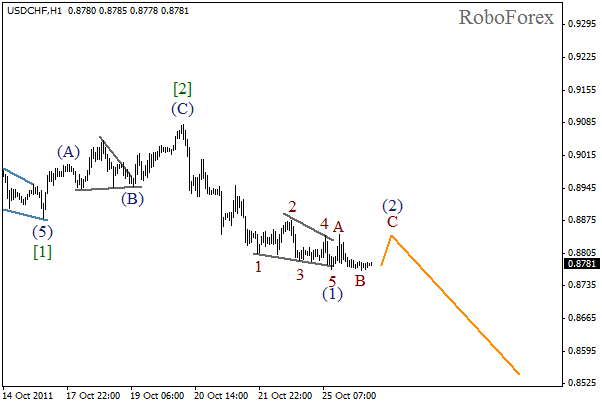 We may assume that an initial bearish wedge pattern has been completed in wave . At the moment the price is forming the second wave, which is, probably, taking the form of flat pattern. During the day we can expect the price to grow while forming wave C of (2). In the future, we can expect the reverse and the start of one more descending wave. 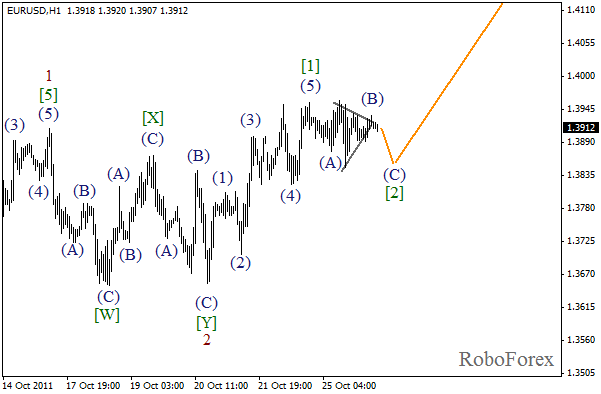 We may assume that after the current prolonged consolidation, the EUR/USD currency pair will start moving upwards. Thethirdwavehasjustbeenstarted. In the near term, we can expect the price to continue growing. The target for the bulls is at the level of 1.4350. As we can see that on more detailed wave markings, which are shown on the H1 chart, the price has completed a rising impulse in wave (1), and at the moment the correction is taking place. 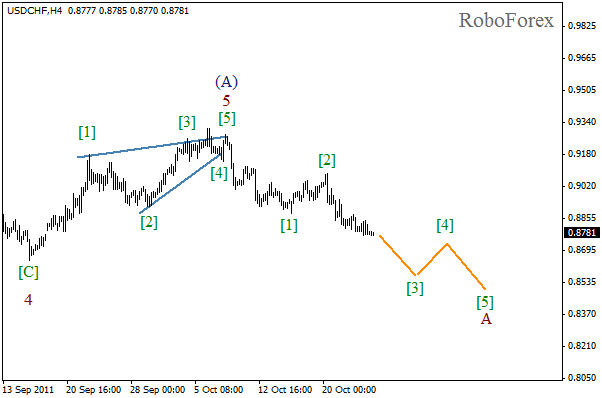 It looks like wave (B) of  has been finished in the form of horizontal triangle pattern. 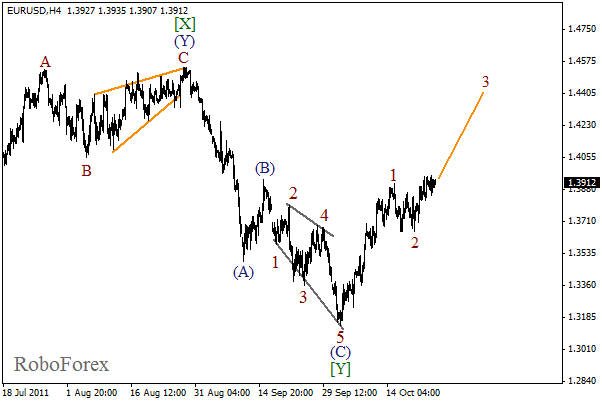 After wave (C) is completed, we can expect the start of “rally” phase of wave  of 3.